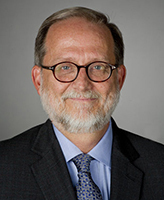 Thomas Tweed, the W. Harold and Martha Welch Professor of American Studies in Notre Dame’s College of Arts and Letters, has been selected to lead the American Academy of Religion. Currently president-elect of the academy, he will serve as president in 2015. Tweed is a faculty fellow in the University’s Institute for Latino Studies and Kroc Institute for International Peace Studies. He also holds a concurrent appointment in the Department of History. “It is a deep honor to lead the academy,” he says, “because it is the largest organization for scholars of religion in the world, with almost 10,000 members. As president, Tweed will guide the strategic direction of the academy. He will choose a theme for the year, which will be incorporated into the academy’s annual meeting, plenary sessions, and the work of its program units. Tweed’s historical, ethnographic, and theoretical research includes six books and a six-volume series of historical documents. His most recent book, America’s Church: The National Shrine and Catholic Presence in the Nation’s Capital, received the American Academy of Religion’s 2012 Award for Excellence. America’s Church is a historical study of the Basilica of the National Shrine of the Immaculate Conception in Washington, D.C. Tweed is also a past president of the American Society for the Study of Religion. Founded in 1909, the American Academy of Religion is a learned society and professional association of scholars. Its members teach in over 900 colleges, universities, seminaries, and schools in North America and abroad. The academy is dedicated to furthering knowledge of religion and religious institutions in all their forms and manifestations. Originally published by Carrie Gates at al.nd.edu on December 19, 2013.